Heck yeah, bunnies don't eat my food, why should I eat theirs? Ohhhh i should pop the BIG QUESTION! 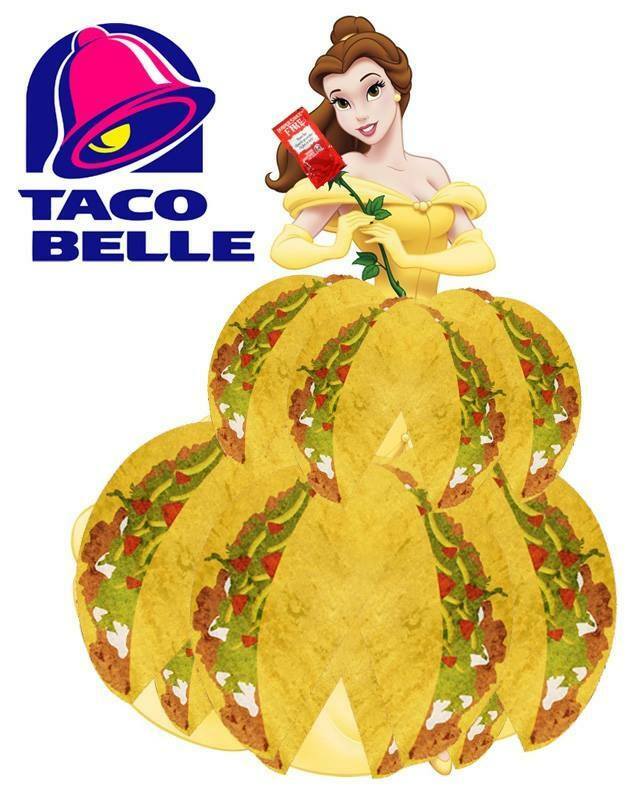 Cayce.... would you do me the honor of.... being my taco pal!!!??? I've eaten an entire extra large pizza by myself many times. HOLY CRAP! That thing weighs as much as I do! One KATIE SIZED TACO to go please... Kataco? I been known to nosh down a lot of groceries! 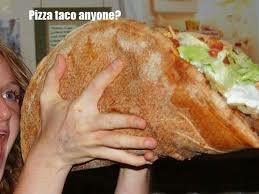 But, I don't think I could handle a whole pizza taco that size in one sitting. But it would be worth a try. It does look so delicioso! Dammmit all i needed this whole time to bring the boys to the yard was a pizza taco??! lol Well now i know. I guess milkshake won't cut it anymore.